It’s an honour and privilege to be appointed guest editors of this special issue focused on disc herniation (Figs.1 and 2). The topic is in line with our field of interest that has blossomed for each of us at the early time of orthopaedic residency. It is with great pride that one of the authors/editors (TB) presented his research work on disc herniation before being admitted to the French Academy of Surgery in 2011. He is now involved in several international spine societies. The other guest editor (AB) had chosen the same topic for his medical thesis and is now practicing exclusively spinal surgery. Our objective is to highlight the state of the art in intervertebral disc prolapse and disc degeneration management and their future developments. As we all know, intervertebral disc herniation (IDH) is one of the most frequent degenerative spinal diseases and the main cause of disability worldwide, especially for low back pain. Symptomatic disc herniation and disc disease are often linked in the same spinal pathology. Intervertebral discs (IVDs) are the fibrocartilage tissue structures between each two vertebrae, absorbing and distributing complex loads along the spine as reminded by Schol and Sakai . The exact event leading to IDH remains unclear. Surgical options can be suggested if symptomatology is resistant to a period of conservative treatment or in case of neurological deficit aggravation. Discectomy is, indeed, one of the most frequent procedures performed in spine surgery by specialists or by some general surgeons trained to do these procedures. We have invited eminent authors from fifteen different countries to contribute to this issue. These authors were chosen for their expertise and they address some major aspects of disc herniation and disc diseases management. Most of them are leaders or affiliated to prestigious spine societies and centres. They have agreed to provide a comprehensive overview of the major clinical and therapeutic aspects which include: indications, techniques and outcomes. Other authors report on efficient or promising regenerative medecine. Most of the 33 selected articles in this issue are reviews which we have displayed by spinal region: cervical, thoracic and lumbar disc herniation due to their specific anatomy and symptomatology. In addition, in order to complete a global prospective, three other topics are submitted including minimally invasive surgery, complications and regeneration (stem cells, etc…). This special issue begins with a fundamental question by Mazas et al. : which surgery should be performed in the case of cervical disc herniation (CDH)? The gold standard for surgical treatment of cervical disc herniation remains the anterior cervical decompression and fusion. In the meantime, Joaquim et al. consider “studies of level I of evidence attesting to the safety and efficacy of cervical disc arthroplasty (CDA) in the management of cervical spondylotic disease (CSD) for one or two levels degenerative disease”. From the same team, Makhni et al. show interesting techniques about how to improve CDA’s performance and outcomes. Traumatic aetiology is quite frequent in case of CDH. However, as shown in Sane et al. series , when a neurologic deficit is associated, it is rare to find no adjacent bone lesion on the plain X-rays, but magnetic resonance imaging (MRI) examination remains of upmost importance before any surgical option. Joaquim et al. mention that the complications of cervical disc surgery are relatively rare. But post-operative nerve injuries may occur and generally need conservative treatment. The evaluation of residual compression is also essential. In the case of CDH, association with ossification of the posterior longitudinal ligament (OPLL) is present in 60% of the patients as reported by Boody et al. . The highest incidence of disc protrusion (81%) was found in patients with segmental OPLL. The association causes more severe pre-operative neurologic deficits and inferior outcomes after surgery. As regions transition, in elite athletes, cervical or lumbar disc herniations (LDH) are common injuries that cause a substantial interruption of the training and practice. Prevention focuses on neck and trunk stability and flexibility. Yamaguchi and Hsu  recommend that “if a six week trial nonoperative management fails, operative treatment should be considered since it has been shown to lead to excellent clinical outcomes in this athletic population” . Before introducing several articles about surgical managements diagnosis methods and techniques, Benzakour et al. reviewed the literature about the current concepts for lumbar disc herniation. The non-operative treatments and possibly alternative treatments should be the first-line treatment for most patients with LDH. Even though there is no strong evidence of its effect, regenerative medicine is promising. Operative treatment remains the current gold standard. Minimally invasive endoscopic microdiscectomy techniques showed the best results regarding post-operative pain and function, without any difference with respect to complications and re-operations compared to the standard discectomy techniques. If we look for what the Spine Patient Outcomes Research Trial (SPORT) has taught us since 2000, we meet many important findings that are now published from this robust trial’s data. In case of LDH, it is worth considering these results when making clinical decisions and during patients counseling, as recommended by Carlson and Albert . From their part, Cheung and Luk  have reviewed “the current understanding of high intensity zones (HIZ) in the lumbar degenerative disc disease with particular attention on its imaging phenotype and clinical relevance”. Among their conclusions, one can note that: “HIZ is likely to be a risk factor for discogenic low back pain (LBP). HIZ may be an important pain biomarker that should be studied further. Future large-scale population studies will improve our knowledge on its role in the disc degeneration cascade and development of LBP”. One of the main things patients and surgeons are wondering before surgery is the long-term outcomes after a lumbar discectomy as studied by Benzakour and Benzakour . The initial results are considered good to very good in 91.7% of the cases at 3 months follow-up. These results deteriorate after an average follow-up of 14.7 years but remain satisfactory with 63.7%. The mini open discectomy remains a reliable surgical technique provided it respects the indications and requirements. To ensure the best quality of life, Ajiboye et al. present different treatment modalities used to treat their patients and are looking to “which treatment is superior in Lumbar Degenerative Disc Disease (LDDD)”? They recommend surgical treatment for well selected adult patients with symptomatic LDDD as well as assessment of the quality of life and clinical symptoms before and after treatment. Common symptomatic LDH should exclusively benefit from a mini open discectomy and fusion should be reserved for when it is needed. Based on their findings, Çaçan and Uçar  recommend “transforaminal lumbar interbody fusion (TLIF) in primary herniated disc patients with radicular and chronic low back pain, degenerative changes, bi-radicular symptoms, and instability, mainly in heavy-duty workers”. Meanwhile, Vazifehdan et al. studied the Sagittal alignment assessment after short-segment lumbar fusion for degenerative disc disease and concluded that “neither the type nor size of cage seem to have a significant impact on either solid bony fusion, nonunion, or adjacent segment disease (ASD) rates”. Thus, they recommended on “the study of patients’ sagittal alignment in the preoperative setting even when treating patients with short-segment lumbar interbody fusion”. Even though the interspinous devices are not very often used, Wei et al. investigated the short- and medium-term efficacy of Inter-Spinal Distraction Fusion (ISDF) new technique for lumbar disc herniation with a spinal internal fixation device without removing the disc. For the authors, CT images indicated that “the herniated disc area decreased by 3.1%, while the foramina areas increased by 5.7% at last follow-up with 92.6% of success”. Nowadays, minimally invasive spine surgery (MISS) is more often performed in many countries, mainly for lumbar discectomy. Ahn  did a narrative review with a focus on surgical indication of percutaneous endoscopic discectomy and the clinical outcomes in lumbar and cervical spine. “For the LDH, transforaminal and interlaminar approaches were reviewed, whereas for the CDH, anterior and posterior approaches were reviewed. Given the recent technical advancements, the surgical indications for endoscopic spine surgery are still expanding and the clinical results have become more practical and reliable”. In the same matter of minimally invasive discectomy, Kanno et al. reported the surgical indications, current concepts and techniques for LDH, including microendoscopic discectomy (MED) and percutaneous endoscopic discectomy (PED). In their article, the authors stress the fact that “only a well-trained surgeon and support team should perform these less-invasive procedures. Clinical evidence supporting the superiority of MED and PED is still limited. Well-designed prospective multicentered randomized controlled trials with large samples are therefore needed in order to draw a convincing conclusion”. In the contents of this issue, an interesting meta-analysis by Shi et al. compared performing percutaneous endoscopic lumbar discectomy (PELD) versus MED for the treatment of LDH. Their conclusion was:” while PELD can achieve better outcomes with respect to the length of incision, blood loss, post-operative in-bed time, post-operative hospital stay, total hospital stay, and VAS- back pain at last follow-up. However, MED showed certain advantages of less fluoroscopic times and lower re-operation rate”. Surgical difficulties are known to be important when it comes to managing huge central/paracentral LDH. Wang et al. reported a new technique known as percutaneous endoscopic transarticular discectomy (PETAD) for these kinds of lesions. After their series study, they also concluded that PETAD could be a good alternative for the treatment of huge central/paracentral LDH. Our special issue also includes a few articles about the important complications of LDH such as those mentioned in the “narrative review by Ankith NV et al. that discusses the pathogenesis, most consistent factors associated with the occurrence of neurodeficit in LDH patients and also the factors which have a prognostic role in recovery”. The authors highlight the “pathological mechanisms like venous congestion, neuronal ischemia and multiple root impairment act either individually or in combination to result in neurodeficit in LDH patients”. In addition, “when considering prognostic factors for recovery, pre-operative muscle strength is the only significant factor. Knowledge about the causative and prognostic factors in neurodeficit following LDH would help in the successful management of this condition”. In all clinical and anatomical varieties of LDH, therapeutic options should also avoid the worst complications such as Cauda Equina Syndrome. In his review, Quaile  reminds us that: “Cauda Equina Syndrome is a devastating condition often following an innocent pathology in the form of a disc prolapse. The effect on sufferers, however, can be lifelong”. More importantly, the author stresses that: “it is necessary to make a diagnosis as expeditiously as possible via adequate history, clinical examination and appropriate imaging to offer treatment, in the form of decompressive surgery within 48 hours. It is extremely important to communicate adequately with the patient and their family recording all the relevant details including those of expected outcome”. Recurrent lumbar disc herniation is also an important possible complication. Shin et al. investigated various risk factors for recurrent LDH after discectomy including lumbosacral transitional vertebrae (LSTV). They deducted that LSTV and a hypermobile disc in flexion-extension radiography were found to be risk factors for recurrent lumbar disc herniation. Rogerson et al. warn that: “patients with persistent leg pain after surgical treatment of lumbar disc herniation can pose a difficult clinical problem. Common causes of persistent leg pain following operative intervention include re-herniation, epidural fibrosis, biochemical/physiologic changes in the nerve root, and psychosocial issues”. Moreover, what is the evidence-based approach for surgical complications following disc herniation? Harper et al. , reported on the most common complications including: infection, durotomy, neurological injury, symptomatic re-herniation and revision surgery. Their article provides the clinician and the surgeon with “a review of the evidence-based evaluation and management of surgical complications following disc herniation, offering best practice guidelines for informed discussions with patients in shared decision making”. In the case of lumbar disc surgery failure, what is the convenient management: fusion or arthroplasty? Kovač  has analyzed 80 studies in literature in order to clarify conflicting aspects of fusion and total disc arthroplasty (TDR) surgery. He found that the impact of TDR upon spine surgery is decreasing, currently is less than 2%. He concluded that problems with anterior surgery, imbursement policy and potential problems with salvage surgery are major reasons for loosing popularity of TDR surgery. Other complications reported by Hashimoto et al. are “adjacent segment degeneration (ASDeg) and disease (ASDis) that have become major concerns after fusion surgery. Their aetiology, incidence and risk factors are gradually being elucidated”. Buser et al. have expressed deep reflections about their vision of the future of disc surgery and disc regeneration. Thus, for them, “novel technologies including cage surface modifications, biologics and 3D printing hold a great promise. Artificial disc replacement has demonstrated reduced rates of adjacent segment degeneration, need for additional surgery and better outcomes”. 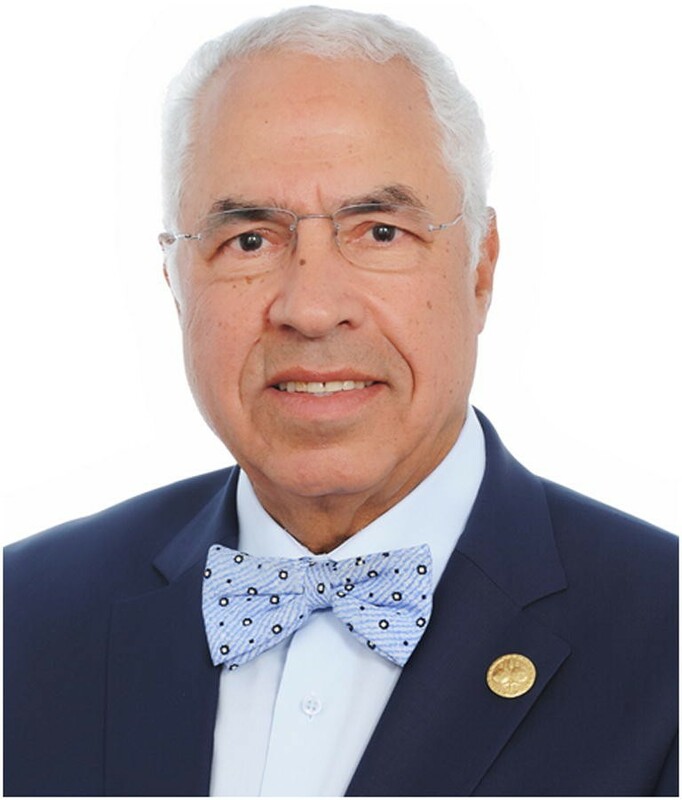 In addition, “it remains to be seen if alternative surgical approaches and robotic assistance will be able to provide better outcomes and a reduced financial burden than spine fusion”. Moreover, “non-invasive biological approaches are focused on cell-based therapies, with data primarily from preclinical settings”. On the same topic, Sun et al. article is about current status and future developments of intervertebral disc regeneration. “This review summarizes the current clinical trials that explore the efficacy of covering cell-, growth factor- and small molecule-based approaches. While investigations of growth factor- and small molecule-based therapies are still preliminary, intradiscal delivery of mesenchymal stromal cells has been more widely adopted and shown positive results in addressing the pain and the associated physical disability, albeit to a lower extent than observed in previous animal studies. Strategies that potentiate the endogenous disc progenitors may offer a valid alternative to the exogenous cell transplantation. Identification of the novel biologics to arrest Intervertebral disc degeneration phenotype may potentiate disc repair in future”. Two other articles have been selected for this fascinating debate. That of Schol and Sakai  is about clinical trials of cell therapy for IDH and degenerative disc disease. In this review, there is a discussion about “the contemporary status of in-human trials investigating cellular transplantation for treatment of low back pain. The aim is to highlight current trends, shortcomings, and hurdles for effective clinical trials and consecutive commercialization”. The last article is a systematic review of the literature by Migliorini et al. giving an additional point of view to clarify the outcome of autologous mesenchymal stem cells (MSCs) injections for the regeneration of the Intervertebral disc degeneration (IVD). “This systematic review of the literature provided MSCs injection to be a safe and feasible option for the intervertebral disc regeneration in the early degeneration stages patients. Irrespectively of the source of the MSCs, an overall clinical and radiological improvement of the patients have been evidenced, as indeed a very low complications rate during the follow-up observation. Intervertebral disc surgery is common in many countries. We agree with Buser et al. when they state that “Low back and neck pain are among the top contributors for years lived with disability, causing patients to seek substantial non-operative and operative care. Intervertebral disc herniation is one of the most common spinal pathologies leading to low back pain”. The procedures are frequently performed with good or very good outcomes in most of the well selected symptomatic patients and surgical techniques. The biological management is promising for the near future. Meanwhile, as Sun et al. recommend: large scale, high quality long-term trials should be conducted to clarify the safety and efficacy of these therapies. We hope that this focus issue provides a baseline of evidence-based literature to help with the management of symptomatic disc herniation and/or disc diseases. 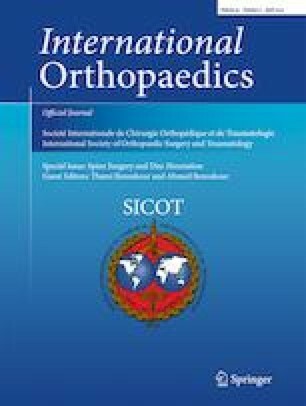 We also would like to express our sincere gratitude to Marius Scarlat, the Editor in Chief of International Orthopaedics, for his wise and precious recommendations. 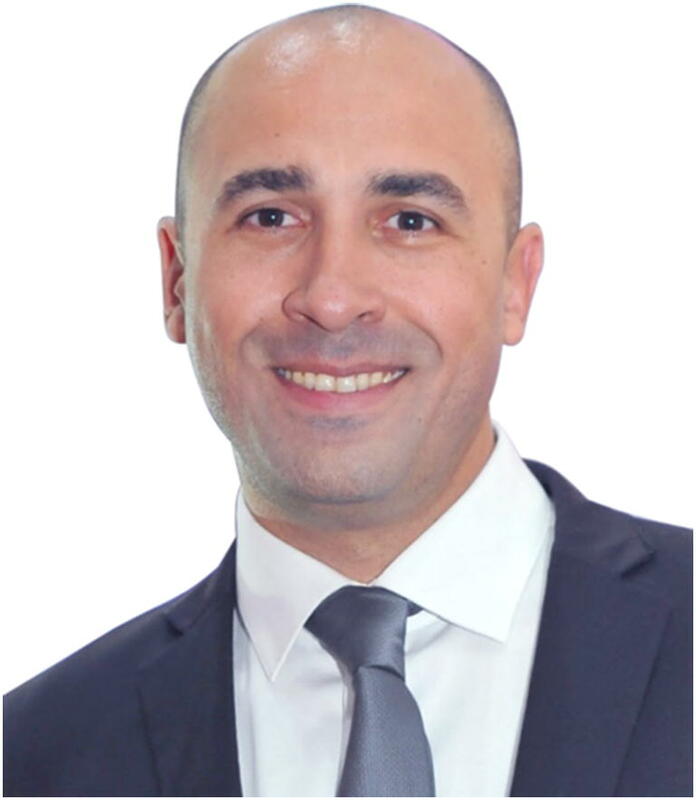 Our special thanks go as well to Andreas Mavrogenis for his kind support.